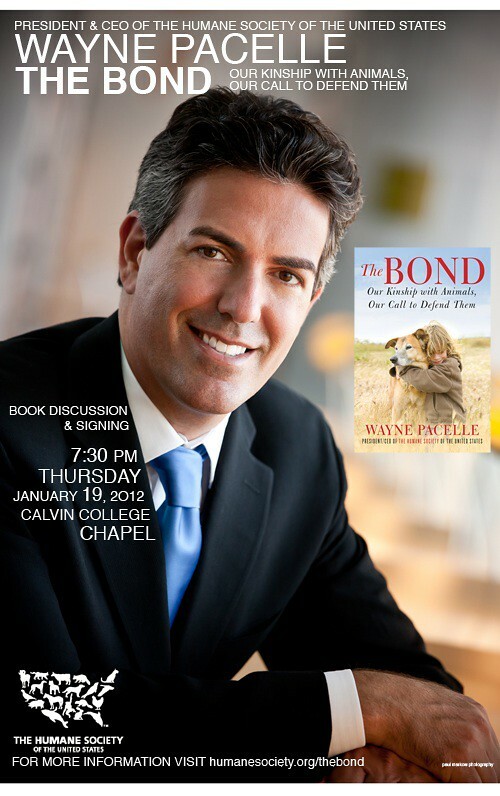 Interested in a preview of Wayne Pacelle’s talk at Calvin College one week from tonight? Check out his radio interview with Shelley Irwin that aired yesterday on WGVU. Also note this brief article on mlive published on January 10.